Last week, Julie, a coworker and also one of my best friends, had made mention that she loves Starbucks’ Walnut Zucchini Muffins. Unfortunately, Starbucks discontinued making them, and replaced them with a Morning Glory Muffin instead, if I’m not mistaken. 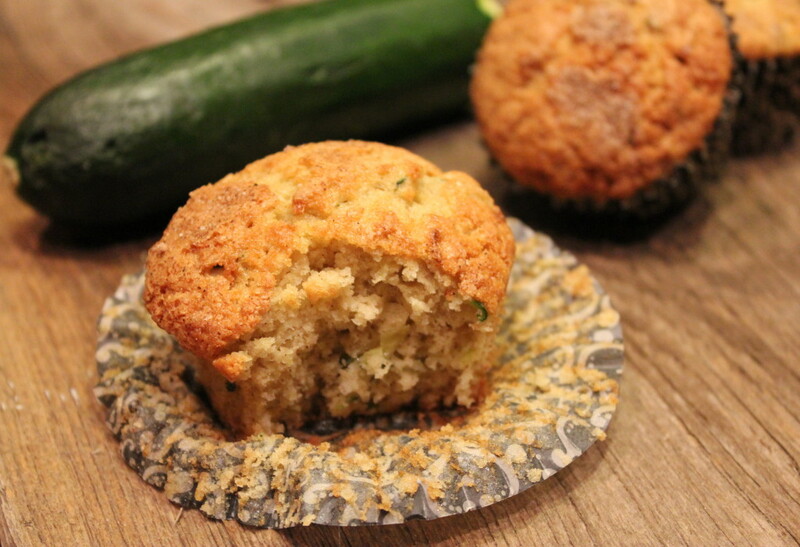 It got me thinking… I’ve NEVER eaten a zucchini muffin! After having Julie reassure me that a muffin filled with zucchinis could actually taste good, (remember, zucchinis are vegetables) I thought I’d give them a whirl this weekend to see what I thought. 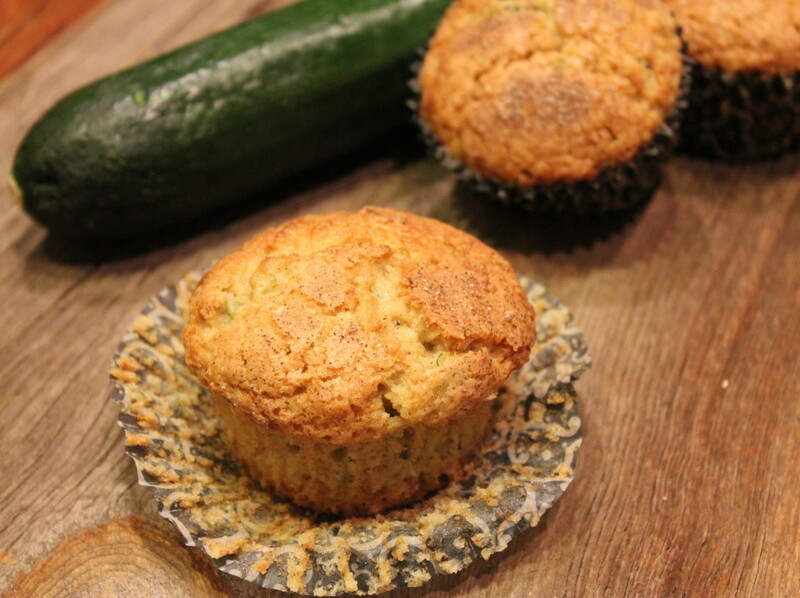 The combination of brown sugar, cinnamon and nutmeg make for a warm, delicious and sweet muffin that pairs extremely well with the zucchini. Extra cinnamon-sugar is sprinkled on the top of the muffins to add a little crunch on top, for those folks with cinnamon-toast crunch cravings! So, are they healthy? Well….sort of. They do have 1 1/2 cups of zucchini in them. However they contain quite a bit of sugar. You could probably use a sugar substitute if you’re looking to cut back on calories. Combine flour, sugars, salt powder, cinnamon and nutmeg. 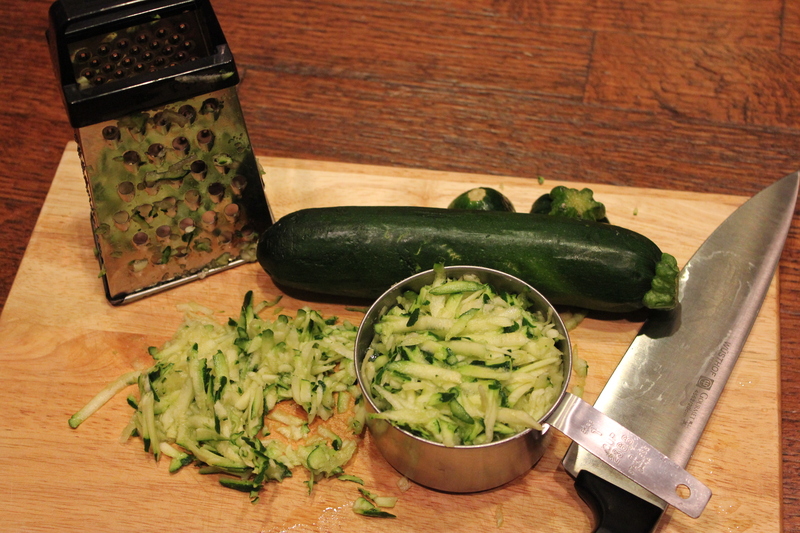 Grate 1 1/2 cups worth of zucchini. Combine eggs, vanilla, oil and zucchini. 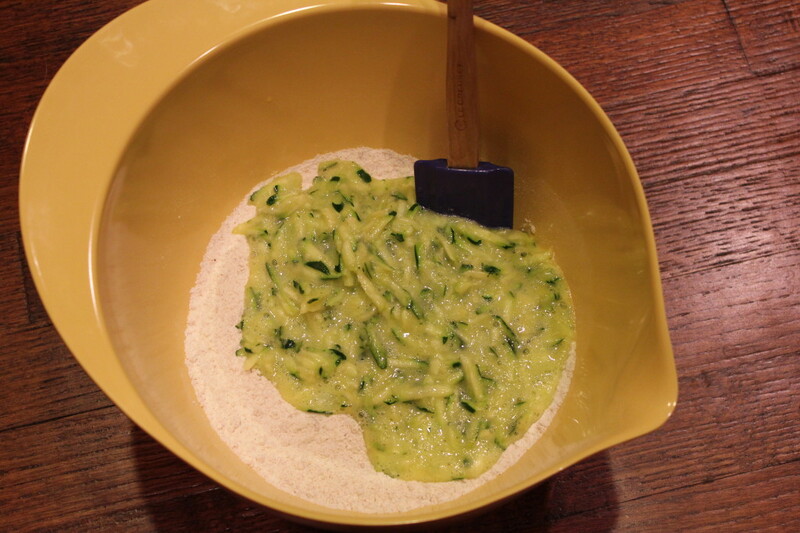 Fold zucchini mixture in with dry mixture and be careful not to overwork the batter. Fill paper muffin liners 3/4 full with batter. Bake for 25 minutes at 375 degrees F or until a toothpick inserted in the center of the muffin comes out clean. Preheat oven to 375 degrees F. In a large bowl, whisk together the flours, sugars, salt, baking powder, cinnamon and nutmeg. Set aside. 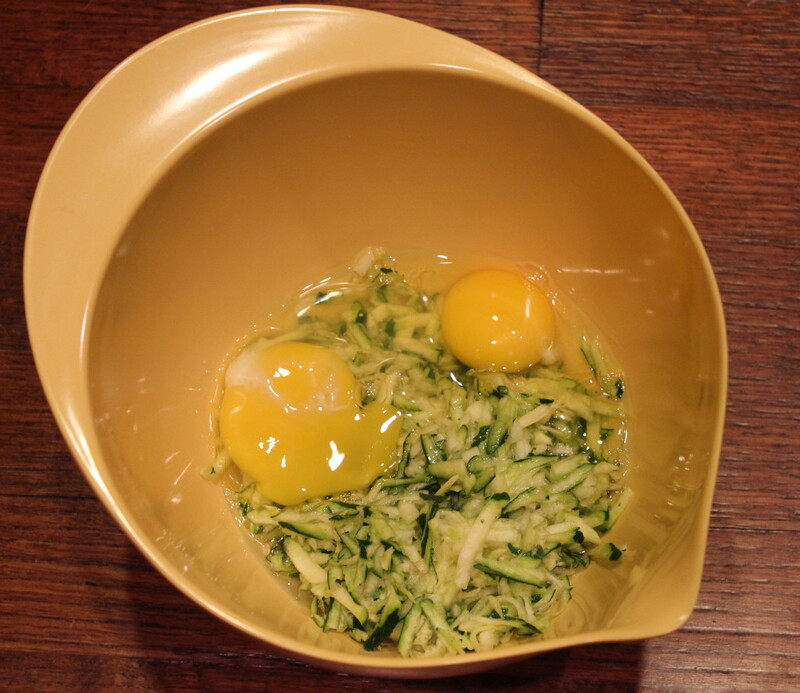 In a medium bowl, combine the grated zucchini, eggs, vanilla, and oil. 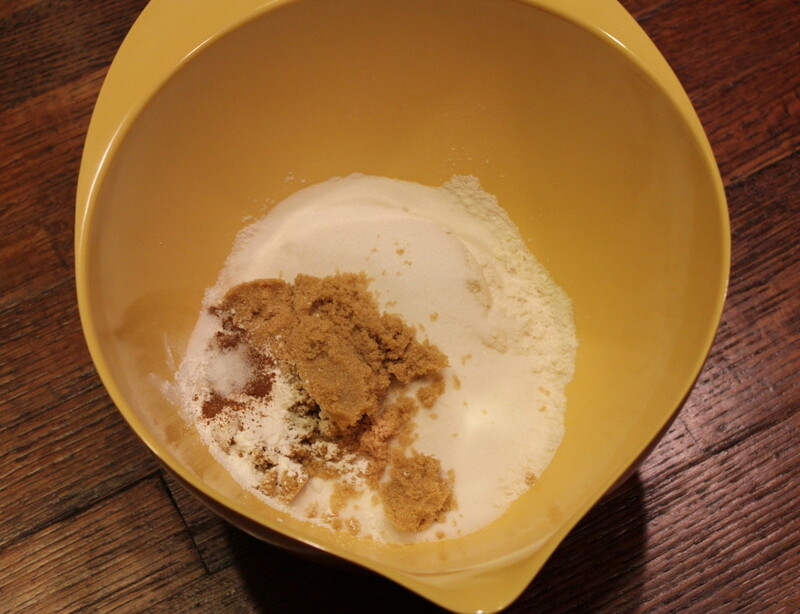 Stir well to combine and then gently stir into the flour mixture. Be careful not to overwork this - it will lead to dense muffins. 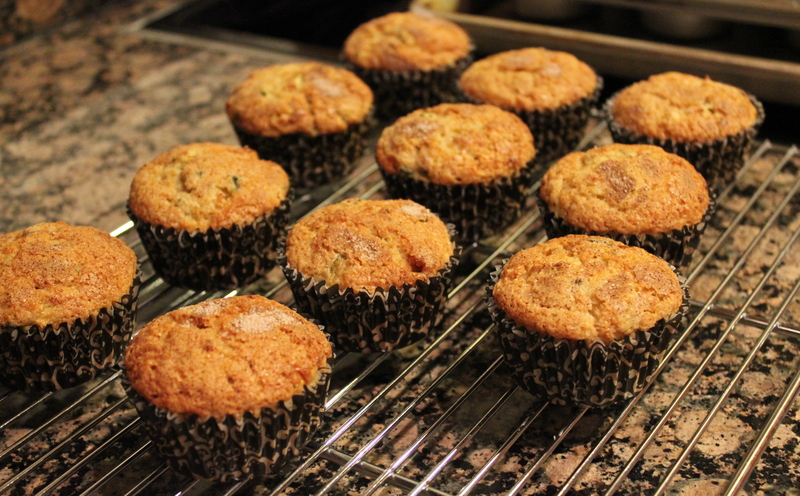 Fill paper-lined muffin tins about ¾ of the full with batter and then sprinkle cinnamon and sugar on each. 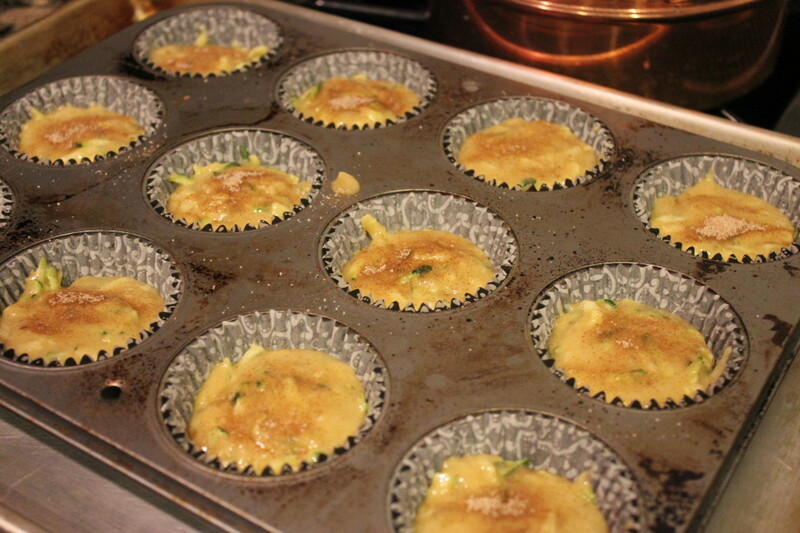 Bake for about 25 minutes or until golden and a toothpick inserted in center of muffin comes out clean. 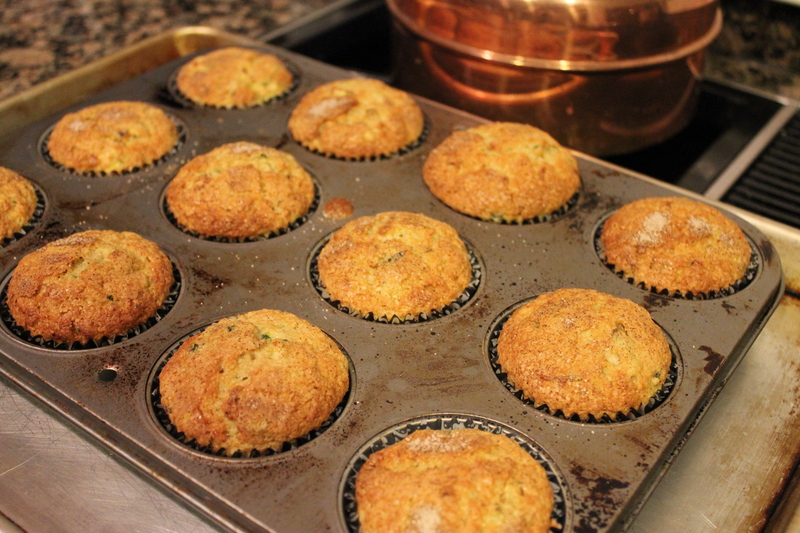 2 Responses to "Zucchini Muffins"
Oh these muffins look so delicious!! These were delicious. Just enough sweet to enjoy. Moist too!